This is Part 33 of Esther Hyams’ series of poems on the life of Anne Boleyn. 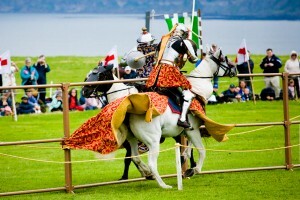 Including the joust for which all the court was so eager and keen. Norris was keeper of the Privy Purse and betrothed to Madge Shelton. Giving all the Royal English Court much caution and great surprise. Anne Boleyn’s sun in the sky would now be overcast and dimmed. As far as he was concerned, Anne had brought him nothing but strife. After this ominous moment, Henry VIII never saw Anne Boleyn again. Told of Mark Smeaton’s ‘revelations’ made while he was on ‘the rack’. Of seductions, betrayal and adultery most traitorous and obscene. A time that was once so sweet, had now become so bitter and sour. This scared so many; there would be safety for hardly any man. Or those who had enjoyed her patronage, once their saviour. Who could count themselves safe? What would they endure?